Santander has worked hard to attract and retain its customer base across 10 competitive and global financial marketplaces. The brand’s corporate marketing director, Enrique Arribas, took time with The Dubs to share his views on how the brand manages this mammoth task. 1. 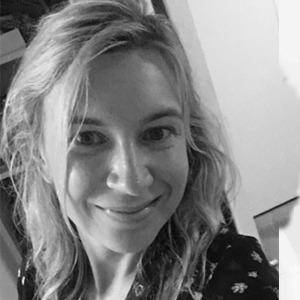 How is Santander choosing to manage its global image and communications strategy? Santander is a group formed by subsidiaries in 10 core markets, all of them autonomous in capital and liquidity, but all of them sharing the same model of banking, economies of scale, the same culture and, of course, the same brand. The challenge for managing this global brand is to find the right balance in terms of the weight of the global and the local. Almost nobody chooses their bank because it is international, and yet belonging to a large global group gives us strength, which is very important to gain the trust of our stakeholders. In this global-local model, we look for examples to combine large international sponsorships such as Formula One or now the Champions League, which generates perception of “big brand”, with other more local sponsorships, such as running in Spain or Santander Cycles. The objective is to achieve the perception of a brand that is both strong and has a closeness to people. 2. 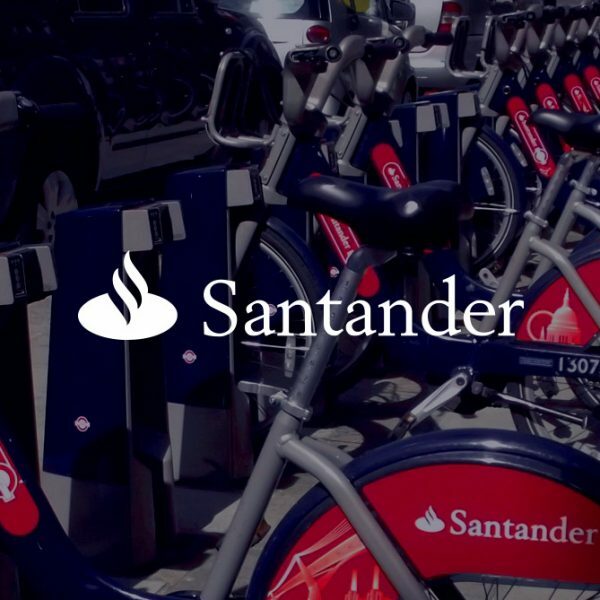 How has the UK Cycles sponsorship helped in achieving the overall marketing strategy objectives for Santander? Sponsoring bikes in London provides our brand with the character of a "good citizen". We are contributing a real collective benefit, both for the people and for the city. Through the millions of visitors and tourists that arrive each year to London, we project a cosmopolitan and international brand image; when the Spaniards, the Chileans, the Brazilians ... return to their countries they talk with their friends about riding Santander Cycles around London. And what better way to get to a Champion’s League game than on a Santander Cycle? It is a fantastic sponsorship because it fuels the brand with those attributes of strength and closeness that we are looking for. 3. What impact is the agile approach expected to have on the way Santander conducts its operations? Agile methodology is quickly becoming critical to the marketing processes within Santander group. We must increase our delivery speed a lot, mainly in the online field, because we receive feedback almost instantaneously from any action we undertake and we must respond with the same speed. Agility has become a key factor in marketing, and traditional cascade work processes do not always allow the right response at the right time. 4. Are you seeing any overarching trends globally affecting the industry? All banks are making great efforts to better understand their customers in order to return a value proposal tailored to their needs, for which both the use of big data and digital transformation are critical factors. On the other hand, it is also evident that banks need to reconnect with a society that, from the beginning of the crisis in 2008, looks at us with some distrust; this implies a radical change in the internal culture of the companies. Before the crisis, we all built trust from strength but nowadays it is necessary to do it also from empathy and affinity with people. And undoubtedly, adapting for new generations is another pending issue for banks, how can we empathise with them to be considered a valid option for when they decide to work with a bank? Before the crisis, we all built trust from strength but nowadays it is necessary to do it also from empathy and affinity with people. 5. As 2018 gets underway can you cite any changes or events that have impacted the approach finance marketers need to take? The new European regulation on data, which comes into force this year, and the open debate in the EU on e-privacy will have a decisive impact on the possibilities of using the data in marketing. Conversely, we observed a slight recovery in the confidence held in banks (2018 Edelman Trust Barometer) and an improvement in confidence in CEOs and trusted voices against the influence of social networks (no doubt the effect of post truth and fake news). This generates a more favorable environment for large companies such as banks, as it affects the credibility of the content produced by us. To achieve this recovery of confidence, banks are beginning to evolve in our tone of communication, dispensing with a tone of arrogance to win affinity with people. 6. What future challenges do finance marketers face? It’s important that we marketers pay attention and have an active voice in the debate on e-privacy that is currently happening in the European Union, in order to achieve a model that protects the interests of consumers, but also promotes competition and the development of the new technologies. Uniting the knowledge we have of our customers with the data generated by their behavior on the Internet allows us to know them much better, and therefore offer products and services that are much more useful for them. It is important to be cautious in possible regulation in this regard. At this point, we cannot afford to go back to a personal data management model that returns us to the old and basic "click through" policy. Enrique Arribas has more than 25 years of experience in communications and marketing. He has received recognition in the field of advertising and sponsorship at an international level and was named in the Top 10 Most Influential Spanish 2012 by Sports Business International.